The debt legal services arm of Irwin Mitchell has completed the acquisition of the commercial debt recovery division of Sheffield based specialist P&A Receivables Services as part of its on-going strategic expansion drive. The acquisition has been made through Irwin Mitchell’s fast-growing subsidiary, Ascent. It is the fifth acquisition by Ascent and the seventh overall by the group since Irwin Mitchell was awarded its ABS licences in 2012. The P&A deal will increase Ascent’s foothold in the commercial debt recovery market and will also add a dedicated international offering to existing UK services. It follows its acquisition of HL Interactive in March 2014. Irwin Mitchell also acquired private wealth boutique Berkeley Law in November 2014 as part of its strategic growth plans. Commenting on Ascent’s latest acquisition, Irwin Mitchell’s group chief executive, Andrew Tucker, said: “This is another important acquisition for the group and a sign of our continued ambition to expand across the UK. The deal comes just six months after Irwin Mitchell’s purchase of Mayfair-based Berkeley Law, which offers advice on complex financial matters for high-net worth individuals and added two further offices in Mayfair and Kensington to Irwin Mitchell’s established office in the City. The Group also recently announced it had opened a consulting office in Middlesbrough, adding to new offices opened in Southampton and Cambridge during 2014. Tucker added: “This transaction not only demonstrates the importance that we place in Ascent, it also reflects our continued investment in the expansion of the Group as a whole. 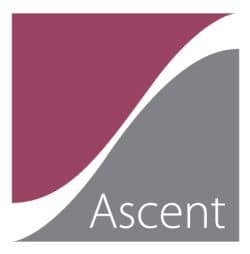 The business will trade under the new banner of Ascent Commercial and will operate across a range of sectors providing services which include UK and international debt recovery and litigation. In March last year, Ascent bought HL Interactive as part of a deal which saw it relocate to larger premises in Manchester and increase headcount by 60. Other acquisitions have been PDP Management Services, Elliot Davies and Fraser Gowrie Johnston. In addition to Berkeley Law and Ascent’s acquisitions, Irwin Mitchell bought Manchester-based personal injury firm MPH Solicitors in 2013. Last year, it launched IMe Law Ltd, an ABS venture with insurer esure, and confirmed that it had secured a £60m finance package with three major banks, with a further £30m ‘accordion’ facility if required, to fund further expansion. 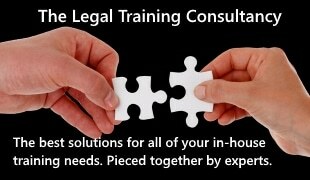 It opened new offices in Cambridge and Southampton in 2014 and a new consulting office in Middlesbrough in May of this year.